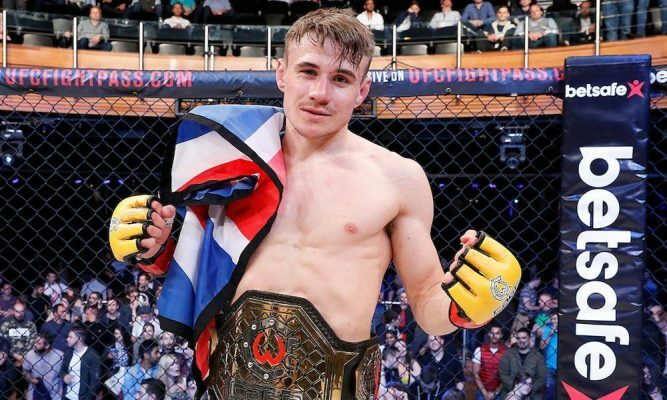 Former Cage Warriors bantamweight champion Nathaniel Wood will make his UFC debut on June 1 at UFC Utica and the fight card has now been set. Wood (13-3) will debut on the UFC Fight Pass portion of the show with his fight currently scheduled to take place between 00:00-:00:30 UK time. The Englishman comes into the bout riding a five-fight win streak with wins over the likes of Vaughn Lee, Josh Reed and Luca Iovine. His opponent, Johnny Eduardo (28-11), will hold a sizeable experience advantage over him, but comes into the bout having lost two of his last three bouts with a win over Manny Gamburyan punctuating losses to Aljamain Sterling and Matthew Lopez. UFC Utica will be headlined by another bantamweight bout between Jimmie Rivera (21-1) vs Marlon Moraes (20-5-1). Also on the main card, Gregor Gillespie (11-0) faces Vinc Pichel (11-1), whilst Walt Harris (10-7) will take on Daniel Spitz (6-1). The preliminary card will be headlined by Sijara Eubanks (2-2) facing Lauren Murphy (10-3).